The Ontario SPCA has launched a new online tool, shelterhealthpro.com, to equip animal shelter staff, volunteers and veterinary care providers with resources to make animals more comfortable in a humane and healthy environment. While designed specifically for animal shelter staff, volunteers and veterinary care providers, the information available on the new Shelter Health Pro website is applicable to anyone responsible for housing a large group of animals. This includes breeders, kennel operators and event organizers, such as those hosting dog shows and pet expos. The goal of the website is to save lives with the most current best practices for improving animal health and welfare through effective management strategies, protocols and resources for infection and disease prevention and control. Have you downloaded the new Ontario SPCA smartphone app? It’s a fast, simple and easy-to-use tool to find animals available for adoption. By tapping the “adopt” icon, you can view animals up for adoption throughout the province. You can also request push notifications to find out when new animals go up for adoption. • And much more . . . ! It's FREE to download in the App store on both Apple and Android. Search "Ontario SPCA" and look for our crest. 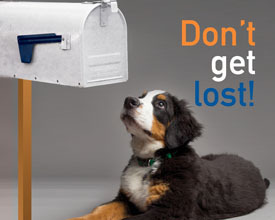 The Ontario SPCA Provincial Office, Provincial Education & Animal Centre and the Ontario SPCA Centre Veterinary Hospital Spay/Neuter Services have a new mailing address. It won’t be long until the holidays are here and the Ontario SPCA is gearing up to find homes for as many animals as possible during “iAdopt for the Holidays”. From Nov. 1 to Dec. 31, SPCAs, Humane Societies, rescue groups and Animal Welfare groups across Canada will be encouraging people to choose pet adoption as their first option when bringing home a new family member. 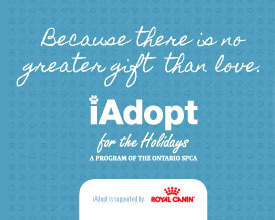 The Ontario SPCA will also be rolling out some exciting new initiatives, contests and special promotions throughout iAdopt for the Holidays, so stay tuned for details! A plane carrying 58 community dogs in search of new homes arrived at the Peterborough Airport on Friday, Oct. 7 from Big Trout Lake First Nation, a community about 500 kilometres north of Thunder Bay. In an effort to help address the pet overpopulation concerns in the community, Big Trout Lake First Nation invited the Provincial Animal Transfer Team – established by the Ontario SPCA and made up of volunteers and organizations from across Ontario – to assist with the transfer. 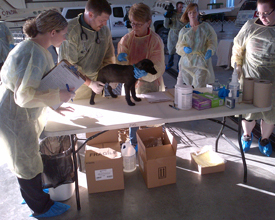 Upon arrival at the Peterborough Airport, the dogs were triaged by a team of volunteers from across the province, including veterinarians and veterinarian technicians. Once cleared for further transport, the dogs were brought to the Peterborough Humane Society, the North Bay & District Humane Society, the Welland & District Humane Society, and the Quinte Humane Society to be placed in their adoption programs. Find the perfect gift for that animal lover on your list this holiday season with Paws & Give, the Ontario SPCA’s virtual giving catalogue. Gift givers can select from a variety of gifts to help animals that the Ontario SPCA sees every day. 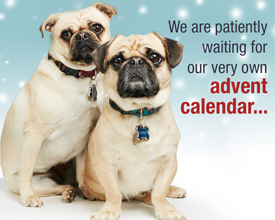 Among the many gifts available is the new 2017 Second Chances calendar, holiday cards and – new this year – dog advent calendars. We have also added a new plush to the Rocky & Friends collection.